Ricketts Cricuts: I'm Banana's for you! Hello! I am in LOVE with these stamps from Jaded Blossom!! 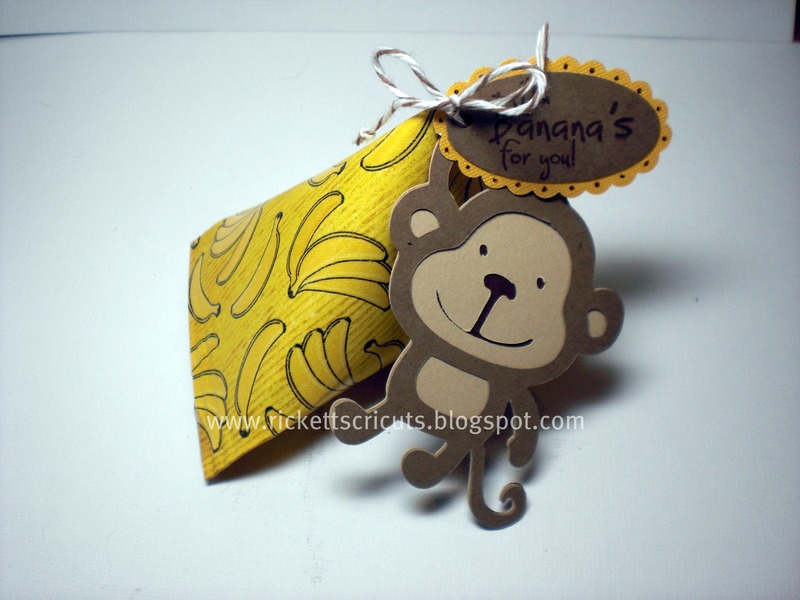 I was so excited to make a little treat container with the saying, "I'm bananas for you!" 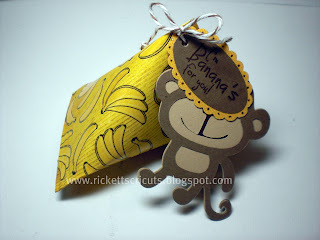 I made the banana treat container with banana cardstock from the Cheekee Monkey paper stack at Hobby Lobby. The adorable monkey is cut at 3 inches from Create a Critter. The tag is the Jaded Blossom stamp on a Stampin Up oval punch! Kim!! This is crazy cuteness!!! I just adore this whole project!!!! Love it!!! Oh my goodness I still cant get over how cute your blog is. I LOVE this project so super dooper cute!!! Thanks for stopping by my blog yesterday and leaving some love! very cute! you make the cutest projects!